Biotin deficiency can prevent all the best skin care products from working. If you’re continually using dandruff shampoos and dry skin lotions, find out how biotin could finally resolve the underlying problem. Just as there are nutrients that that help the liver, heart, or digestive system, there are also nutrients that help the skin. These consist primarily of antioxidants and other nutrients that fight the free radicals that ravage our bodies, including our skin, and cause us to age prematurely. However, there are some vitamin deficiencies not too many people are aware of that can cause severe and persistent skin problems One of the most important of those is biotin — also known as vitamin H or B7. Biotin monitors and regulates several bodily functions, including the production of new cells and proper functioning of the oil glands — both of which are vital to the condition of our skin. Here’s how it works. The outer layer of the skin consists of dead skin cells, oils and fats in a rather delicate balance. Too many dead skin cells build up and block the pores; too much oil does the same. Too few dead skin cells or too little oil — both of which are often caused by harsh, chemical and abrasive cleansers and other skin care products — destroys the protective layer, causes moisture loss and allows bacteria to infect the skin and be absorbed through the skin into the body. Keeping the protective layer intact and balanced is the primary goal of any skin care routine. However, no matter how careful you are about which skin care products you use, your efforts can be defeated by a biotin deficiency. If the body is unable to produce and maintain new skin cells or protective oils in the quantity necessary, you will still have skin problems despite using the best skin care products and services available. What skin problems can be caused by biotin deficiency? Dry skin, dandruff, eczema and seborrhea — chronic skin inflammation that causes itchy, flakey, dry skin on the face and scalp — are the most common. In fact, they are the reason our drug store shelves are loaded with dandruff shampoos and skin care lotions designed specifically for itchy, dry skin, and the incidence of eczema has reached almost epidemic proportions. People suffering from these skin problems often go from one product to the next, forever searching for something that will relieve the condition. What they don’t realize is that if the condition is caused by a deficiency in biotin, no amount of external skin care is going to resolve the problem. It may help masque the symptoms but as soon as you stop using the shampoo or wash your face and remove the product, it is painfully obvious that the condition has not changed. So, thinking that the product is to blame, we search for another. This process usually continues for years. How do you stop the never-ending cycle? By correcting the other contributing factors — and biotin deficiency is near the top of the list. If you have any of the skin conditions mentioned above – dry skin, dandruff, itchy scaly skin that flakes off, or eczema – try adding biotin rich foods to your diet. These include brown rice, cracked wheat, green peas, lentils, oats, soybeans, sunflower seeds and walnuts. Egg yolks are also a good source, but raw egg whites can inhibit its absorption. Cutting down on sugar will also help – sugar’s high acidic content destroys B vitamins. To be sure you’re getting enough, your best option is biotin supplements. You can’t really take too much of it, so it’s worth a try. Biotin supplementation is a simple, easy and inexpensive way to treat dry skin problems, and it may just end your search for the perfect shampoo, the perfect skin care lotion and relief for a never-resolving condition. Debra, Its been one month… Did the Biotin help at all with your eczema? I’m 54 years old and have had eczema since I can remember. I’ve always used prescription steroid creams to treat the eczema. I started taking a biotin supplement about a year ago and I rarely need the steroid creams. Biotin has worked for me. I am one of those described in this article. I’ve had this problem for 3 years. The skin rash on my ankles. Very itchy and rough. I tried all sorts of things. All woeked but for few hours. O I kept using the lotions fir temporary relief. Recently I took biotin supplement for hair growth. After few days i noticed that the rough skin area is getting smoother. I could not believe it. So I searched the web for benefits of Biotin and came across this article. This is very well written article. After a years of of using the lotions I realize now that something is wrong interal to the body and no lotion will fix it permanently. I hope the progress continues and I could be off the need for lotion. I decided to give biotin supplements a try two weeks ago originally to help my eyelashes grow back faster and healthier after badly done eyelash extentions. Not only is it working with that but I noticed today how much smoother my face is. I have super dry skin and have been battling everyday with my face and dandruff in my hair. Now that I started taking Biotin supplements my face is less red and there’s less dryness on it which is helping me to have a better complexion that iv always longed for. My scalp is also becoming less dandruffey. It’s only been two weeks I’m excited to see what another two weeks is going to look like. I am 62 years old and have had eczema all of my life. I have been using steroid ointments and solutions for at least 50 years. A little over a year and a half ago, my dermatologist suggested that I start taking biotin for thinning hair. I have been taking 1200 mcg a day for a year and eight months. During that time, my eczema has almost completely disappeared. I used to refill my steroid prescription about every four months. The last time that I refilled it was in April of 2015, which is 16 months ago. I realize that the fact that the great improvement in my eczema coincided with my taking biotin does not establish a causal connection; however, if you have eczema, you might want to try taking biotin and see if it works for you. I have Psoriasis and extreme dry skin – especially in the winter. 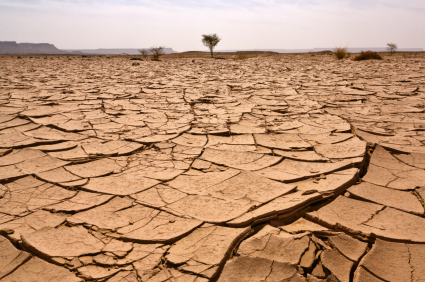 I have spent a fortune on skin products trying to contain the dryness. Had taken Hair Skin & Nails but could not keep it up in the pill form…. But along came the gummies – and now I take them everyday (sometimes too much because they taste so good) and like magic the dry skin has almost vanished! Psoriasis means I will always have dryness – but at least this is somewhat manageable and when I take my clothes off in the wintertime…. thousands of flakes don’t go flying. I have struggled with eczema for at least 12 years. A month ago I started taking Biotin 5000mcg (Extra Strength) because my fingernails just never seem to grow and I thought it might help. I started noticing that my itchy legs and my eczema ridden hands were clearing up and even becoming supple. I also was using an anti-itch cream containing aloe, Vitamins A, D & E. I avoid the steroid creams because I don’t want to become immune to them. Anyway, my skin is better than it has ever been. My sister commented that my facial skin was looking so well, I am 55 years old. It is the middle of winter when my eczema should be so painful and horrible that I can’t sleep nights. It just is so amazing and such a relief to me. I can only attribute the change to Jesus answering my prayer to heal my skin and prompting me to buy the biotin. I wanted to confirm that the change in my skin was due to biotin and started googling eczema and biotin and came across this site, so thought I’d share my experience. Wishing you all well. Biotin has helped me with chronic itchy arms, elbows, and neck. Also no sign of dandruff after 2 weeks of taking 2 every day. I tried everything under the sun and biotin fixed the issue for me. Ice was a close 2nd, but the itch would always come back. You should all try it if you are tossing and turning unable to get to sleep for hours like I was. Pretty sure Biotin has cured my eyelid eczema. I developed the eczema just 5 months ago but I could see it was gradually getting worse and my dermatologist just told me to apply an emollient as steroid creams are a no no for eyelids. I actually bought the biotin as I’d read it was good for hair growth but after taking two tablets a day for 6 weeks I noticed that my eczema had reduced considerably. At this point I also introduced also a vitamin E gel which I applied to my eyelids each night and by week 8 the eczema disappeared! I am so happy with this result. Definitely worth a try!